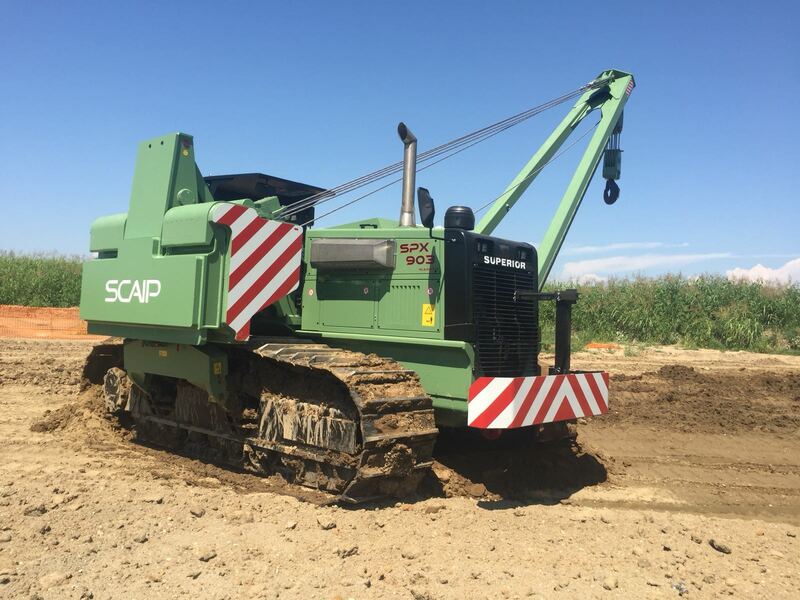 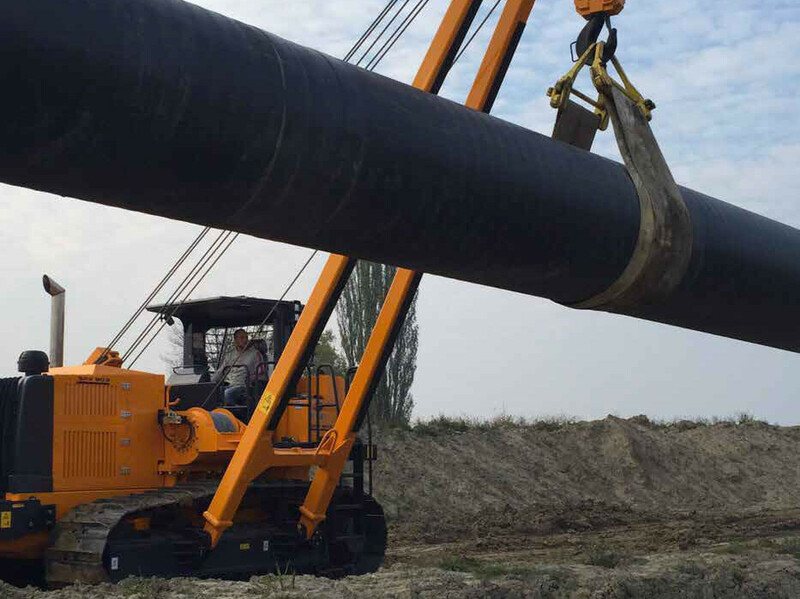 Since 2007 SCAIP produces its own range of Pipelayers, branded SPX, designed and based on the long experience accumulated over the years in this sector and using the best technologies. 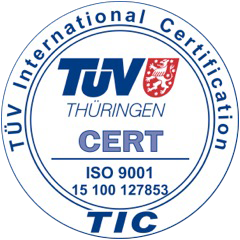 It can thus offer the customer a reliable, efficient product that complies with the latest regulations in terms of safety and environment. 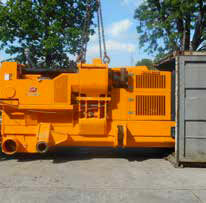 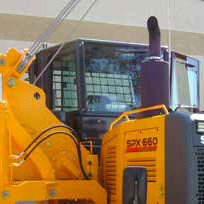 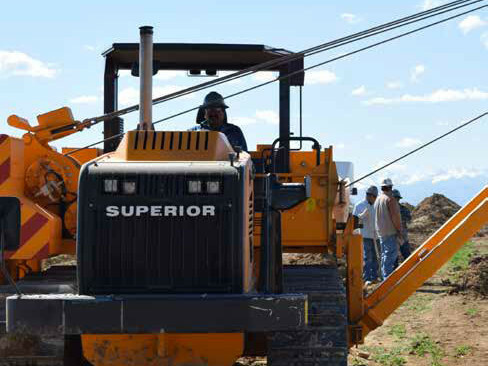 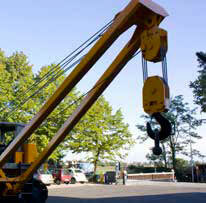 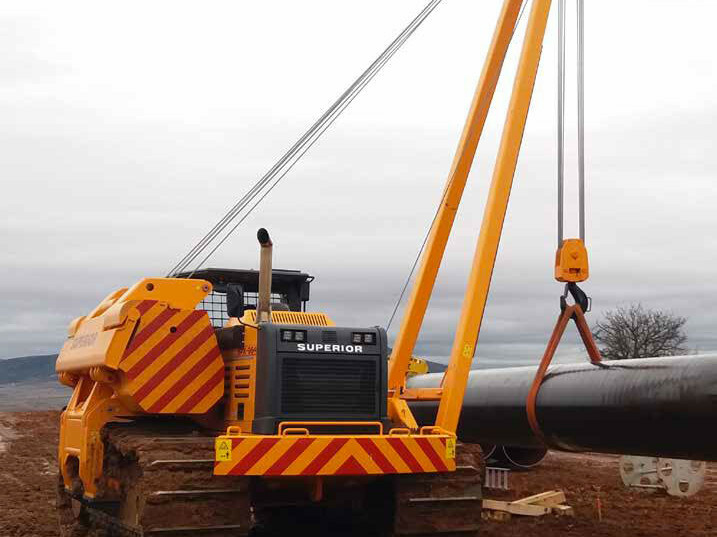 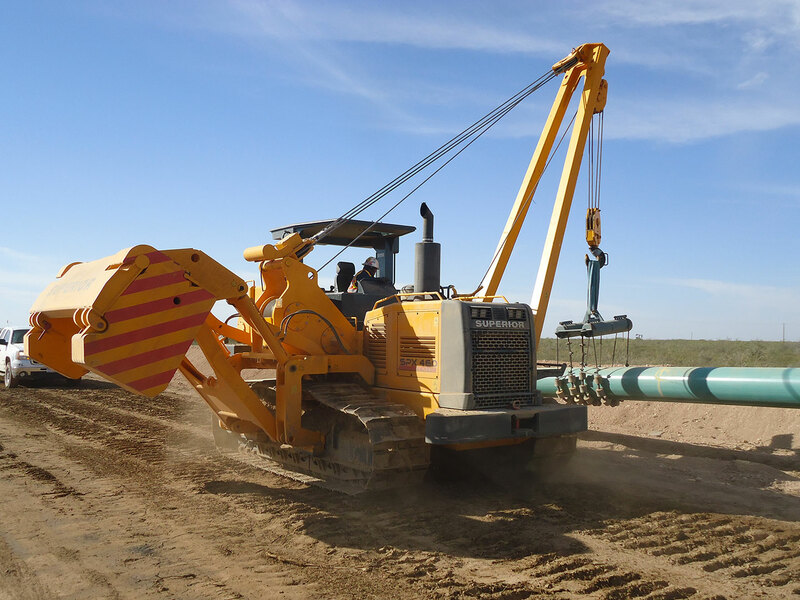 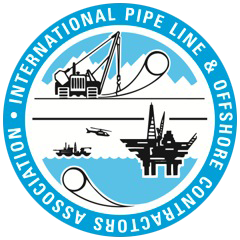 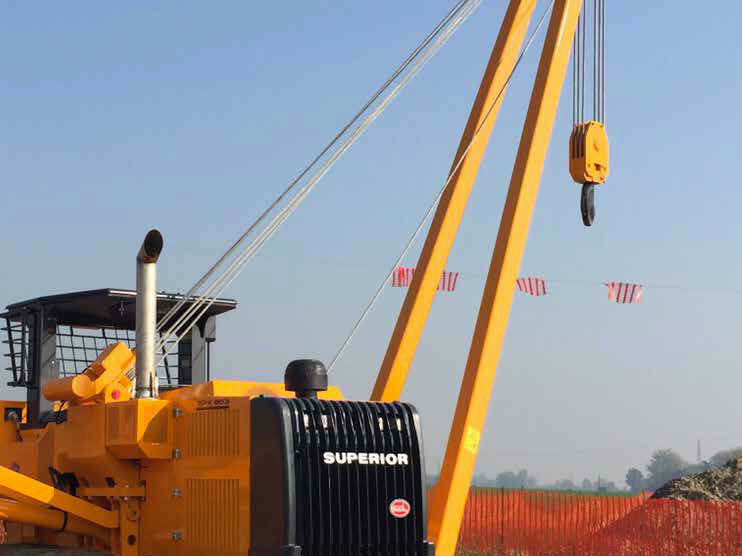 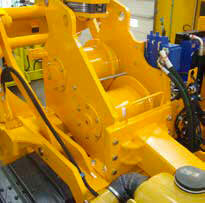 These machines are working in pipe laying projects worldwide. 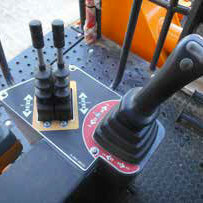 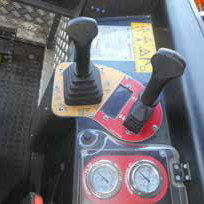 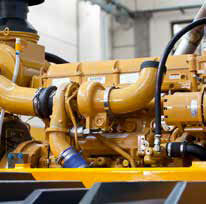 The machines are equipped with hydrostatic transmissions. The engines and all the hydraulic components are selected from the best brands currently available on the market in order to guarantee maximum reliability, efficiency and assistance all over the world. 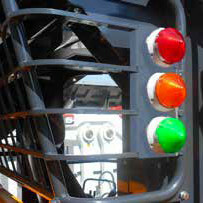 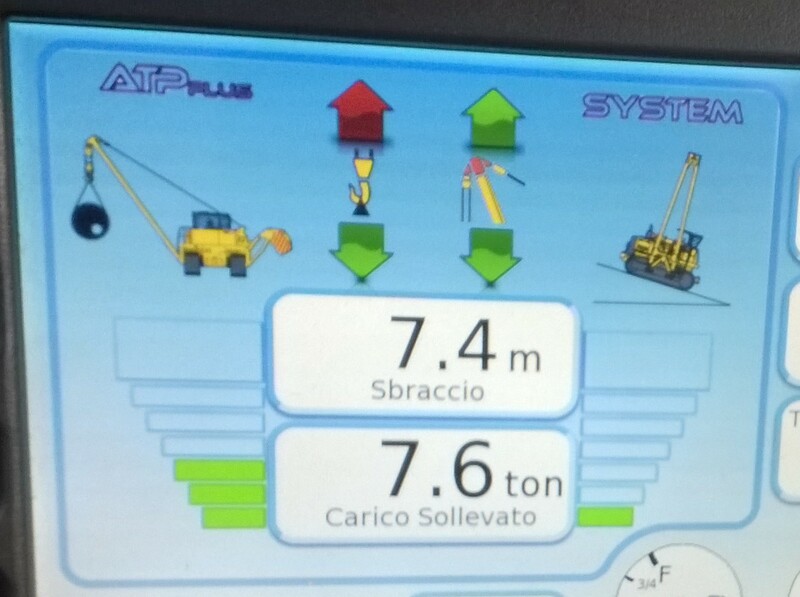 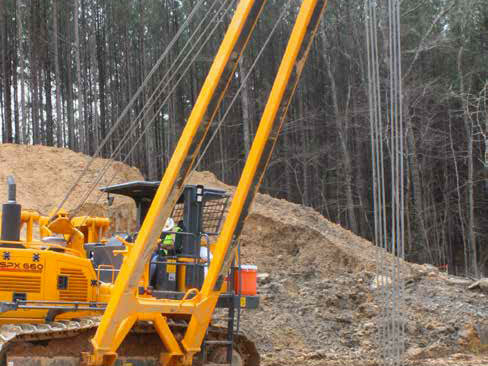 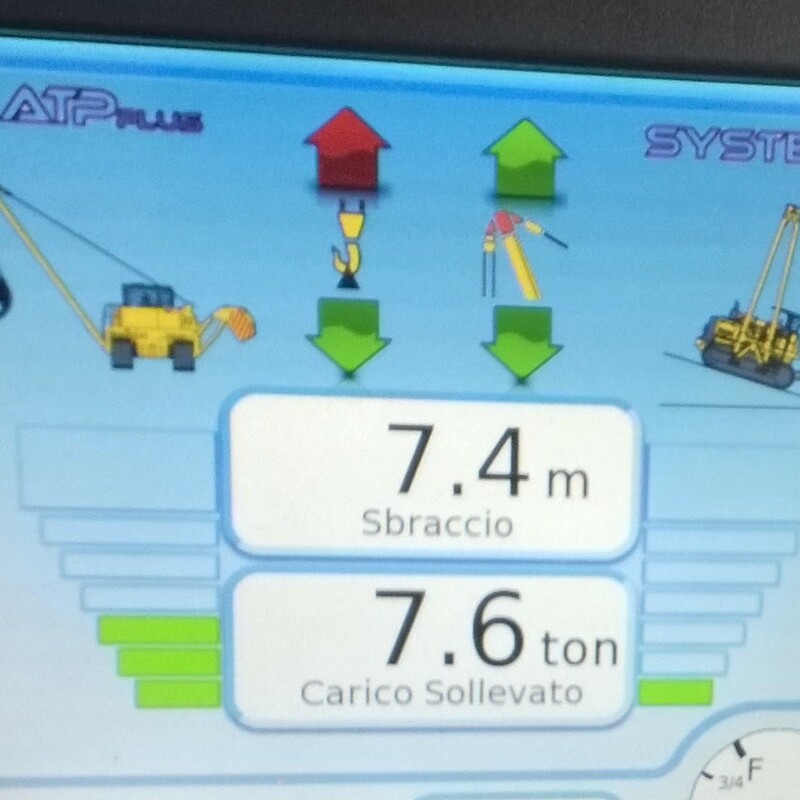 The ATP Plus system allows to control the load lifted and to stop maneuvers before reaching the tipping limit. 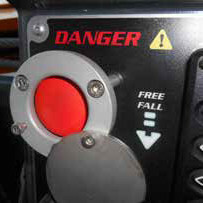 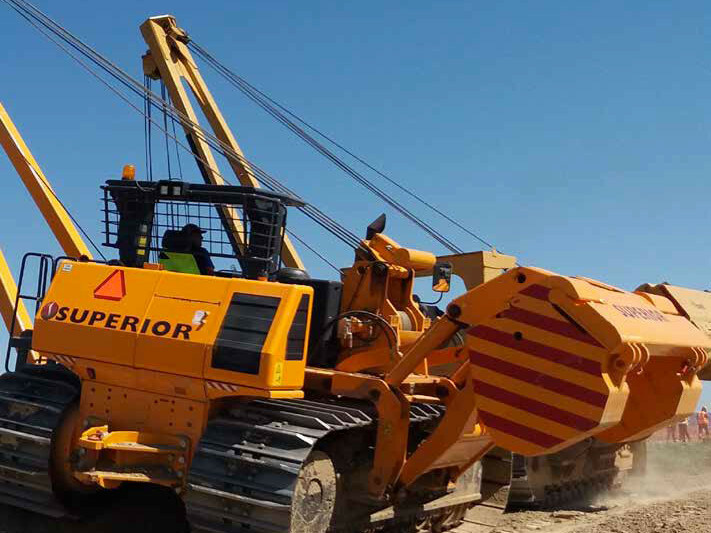 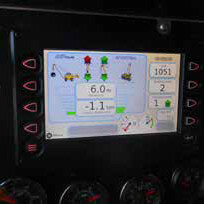 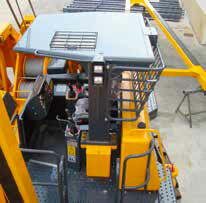 The LAS system monitors the longitudinal slope and warns the operator. 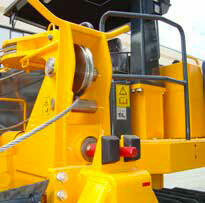 The QD-CS system is for a quick disassembly of the ballast packs. In the standard version, the machine is supplied with ROPS-FOPS protection roof, but on request it can also be supplied with a closed cabin equipped with air conditioning and heating system.